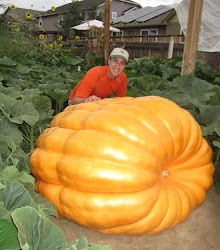 The plan is to take the 1685 pumpkin "Cujoe" to the Hee Haw Farms weigh-off this Saturday. I've never been to this weigh-off before. I knew it is traditionally much smaller than the Thanksgiving Point weigh-off, but looking forward to attending. Starts at noon, so come on by.